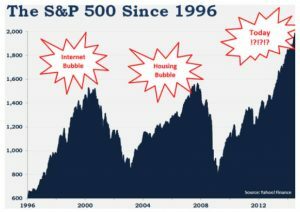 The U.S. economy experienced the dot com bubble in the 1990s and a housing bubble and bust in the first decade of the 21st century. Despite a mandate to keep the economy from “overheating” and maintaining robust employment, the Federal Reserve’s track record as the manager of the economy has been called into question. Finance professor Murray Sabrin will present the results of his sabbatical research, which challenges the conventional wisdom about money, banking and the Federal Reserve as guardian of the economy’s health. He also will show when the next financial crisis will occur. 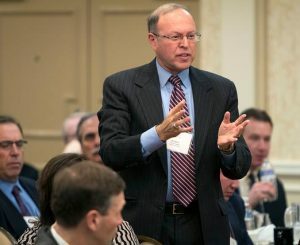 Dr. Murray Sabrin is Professor of Finance in the Anisfield School of Business at Ramapo College of New Jersey. He has been a member of the faculty since 1985. He has a Ph.D. in economic geography, an M.A. in social studies education and a B.A. in history, geography and social studies education. He has worked in commercial real estate sales and marketing, personal portfolio management, and economic research. In 2007 Dr. Sabrin and his wife Florence made a $250,000 gift to Ramapo College to establish the Sabrin Center for Free Enterprise in the Anisfield School of Business. Sabrin is the author of Tax Free 2000: The Rebirth of American Liberty, and blogs at www.murraysabrin.com His three documentaries about the Federal Reserve, the income tax and Medicare and Medicaid can be viewed at Sabrin Films on YouTube.